The link John and Mary gives most of the information we have about Joseph to date. 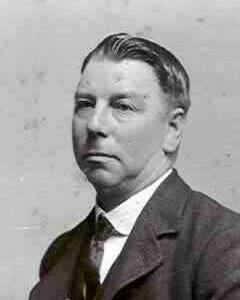 We do however have an up to date history (below) of the family of his son George seen on the right of the 3 men below. Below are photos of Joseph and his family as labeled. These were supplied by his great granddaughter Gillian Bauman from Pittsburgh USA. Above is Joseph. 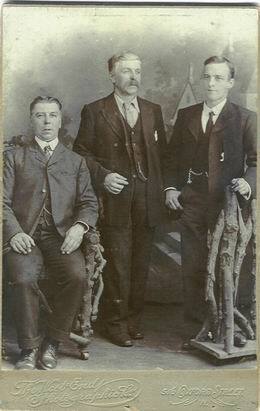 At right is Joseph, his son George at right, and centre we believe is James. This is probably the last photo of Joseph as he died in 1906. 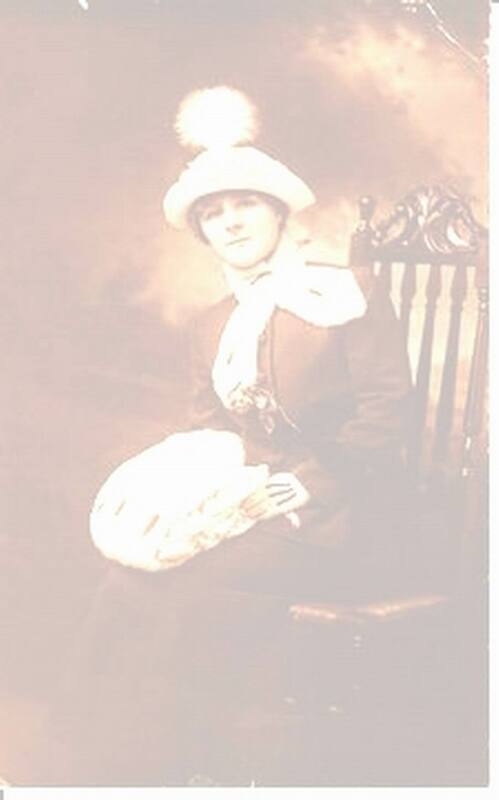 George married about 1908. Note the different styles of suits worn by each at right. 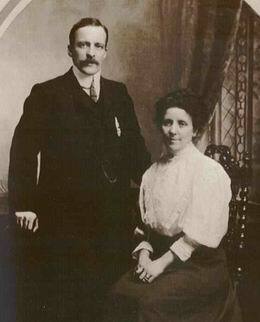 George and Sarah (nee Williams) lived in Swansea Town in Wales. George later contracted Polio. Joseph is also listed as having a daughter Ada but no trace of her can be found, she may have died as an infant. 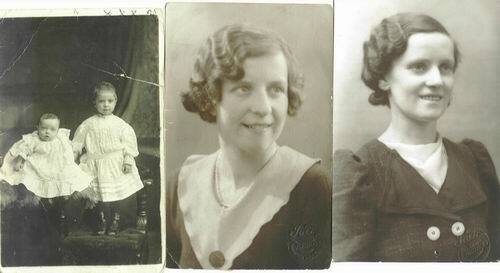 George and Sarah had two daughters, Ada and Olwen (centre, and the older baby). 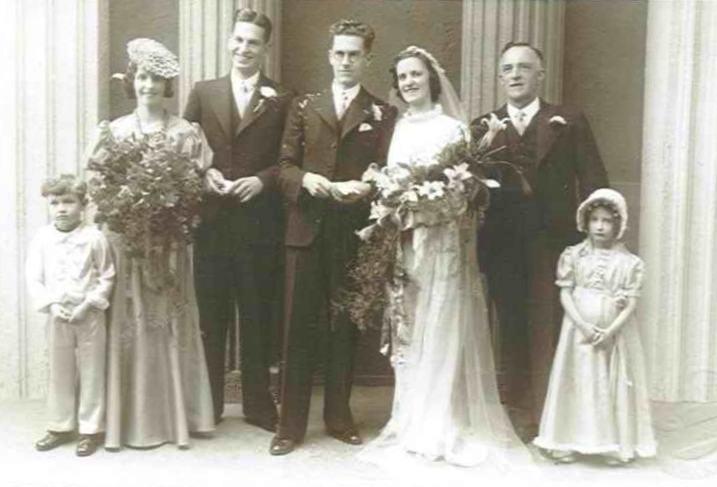 Below in the wedding of Ada to Gordon in 1939 with George behind her. Ada and Gordon had a son and a daughter (see the tree). Daughter Gillian has provided all of these photos.